A single, searching question: What do you love about movies? is posed to fifty of cinema's brightest lights. The answers have been entertaining, profound, personal, ridiculous, revealing and unexpected, but always unique. These declarations of movie passion have been collected into the ultimate one-stop celebration of cinema. 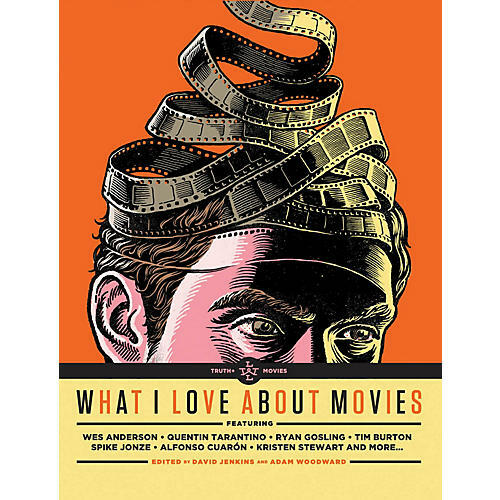 This lovingly crafted compendium offers a fascinating and insightful look at the movies through the eyes of 50 of its brightest stars, with subjects including legendary directors such as Francis Ford Coppola, the Coen brothers, Wes Anderson, Steven Soderbergh, Pedro Almodóvar, Darren Aronofsky, Quentin Tarantino, and Spike Jonze, and A-list acting icons such as Ryan Gosling, Michael Fassbender, Kristen Stewart, Jake Gyllenhaal, and Tom Hardy. Alongside these star-spangled testimonies are newly comissioned illustrations from amazing illustrators around the world. What I Love About Movies is the perfect gift for every movie fan.